One of us isn’t a first time buyer, so can we get 90%? Something that comes up with regular frequency is a question about ‘being a first time buyer’. The simple version is ‘one of us bought a house in (year XXXX) or had a house in the UK or invested in one with a friend’ etc. Now that person is in a relationship with a new person and they want to know if as a couple, they are a first time buyer. Sadly, this is similar to the way that Tax Relief at Source used to work, if you had bought a house anywhere in the world, including Timbuktu, you are no longer a first time buyer and by extension, neither is anybody that you buy a house with. Nowadays you see only that where a son or daughter gets a site and their partner is off the deed so there isn’t a tax implication, but that doesn’t work with a loan exception because the second person is obviously on the mortgage and their presence enforces the LTV and LTI restrictions. Solution? 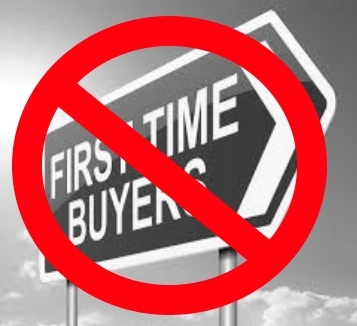 If you want to be a first time buyer don’t buy a house, once you do it’s gone forever, think about it the way you might with the concept of ‘virginity’, you can’t grow it back.